1. Place your property on the multiple listing service(computer all over the state). 2. Place your property on 30+ internet sites for maximum exposure. 3. Design a personalized advertising brochure with the "features and benefits" of your property. 4. Place advertising in the local periodicals appropriate for the property. 5. Offer neighbors the opportunity to think of friends of family that would enjoy living in the neighborhood. 6. Host weekend " Open House" when possible. 7. Install a sign and brochure box. Install lockbox. 8. Host a "Brokers'Preview" to initiate property on market. 9. Work with local lenders to design buyer profiles. Many buyers aren't aware that the property is within their buying power. 10. Distribute 1,000 flyers weekly to all the area salespeople. 11. Announce the property at our weekly office meeting to over 100 full-time brokers. 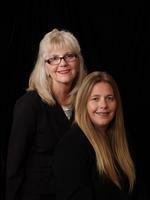 All our office brokers are experienced with an average of 20+ years. 12. Send the top ten target market agents in the area a brochure on the property. 13. Follow up on all previews and showings by other realtors. 14. Recommend changes that will help sell your property. 15. Keep you informed on a weekly basisof the efforts to sell the property. 16. Only accept offers to purchase from pre-qualified buyers. 17. Represent you during negotiations. Complimentary notary service. 18. Assist in all necessary paperwork. Follow-up on escrow and closing of escrow. 19. Review your escrow closing statement and costs. 20. Assist in getting the highest possible dollar for your property with the least amount of problems. We have just initiated a gauranteed buyer hotline to sell your house. Very few brokers have this service. Let us demonstrate it for you. Call or email today!